Brown background colors and natural interface elements are combined to create a sober theme with patterns that intend to transmit the idea of traveling and alternative and natural activites. 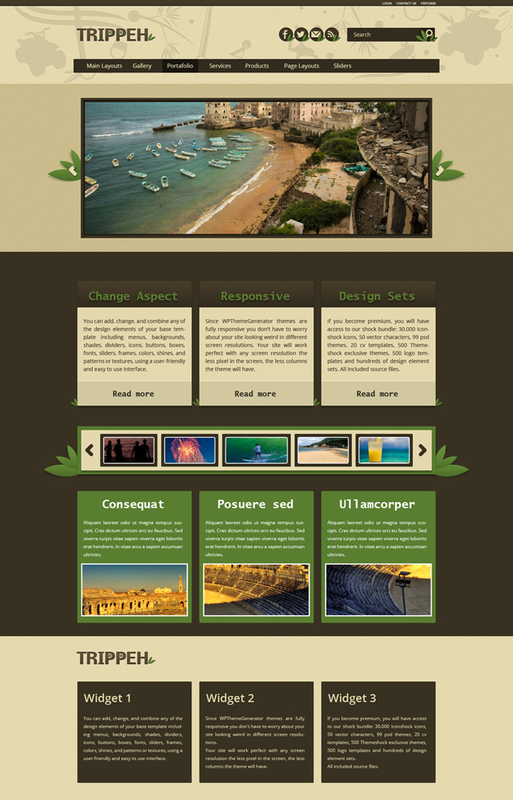 This theme is recommended for ecoturism dedicated blogs, however, his elements also make it something appropriate for botanic and in general, all kind of green sites. Windows 8 Web Design - 2950 icons. Material accounting - 2994 icons. Icon Fonts Graphics - 2439 icons. line icons: 12000 free outline icons - 2631 icons. Real vista computer gadgets - 2727 icons.